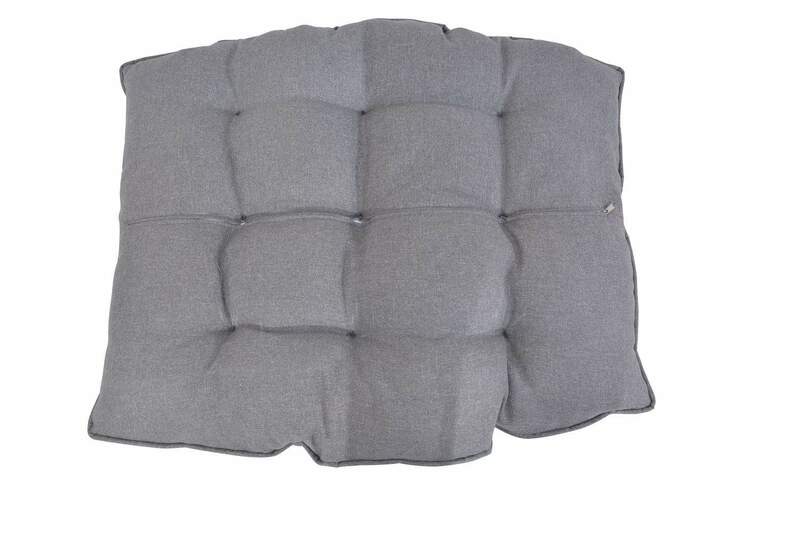 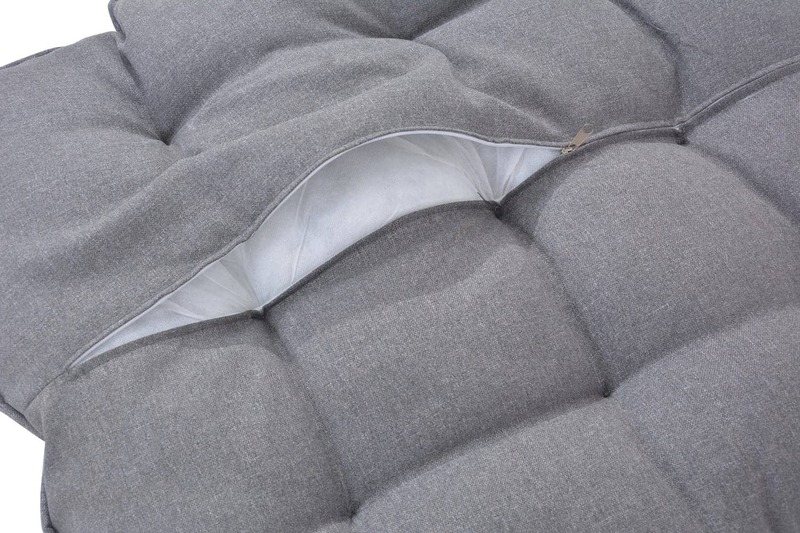 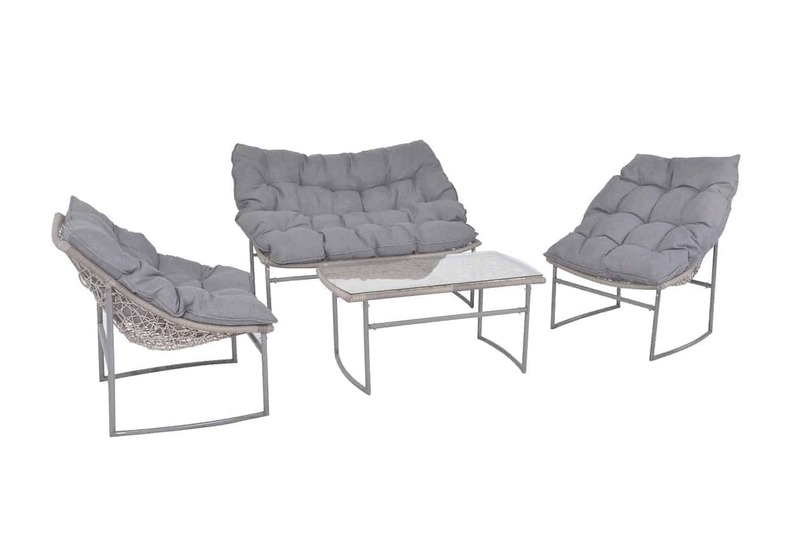 Never has lounging outside been so fluffy! 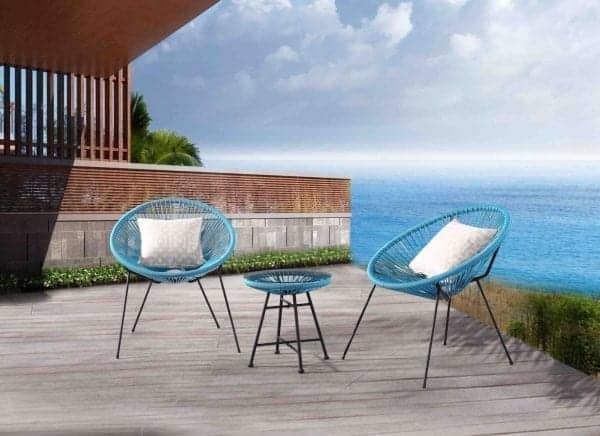 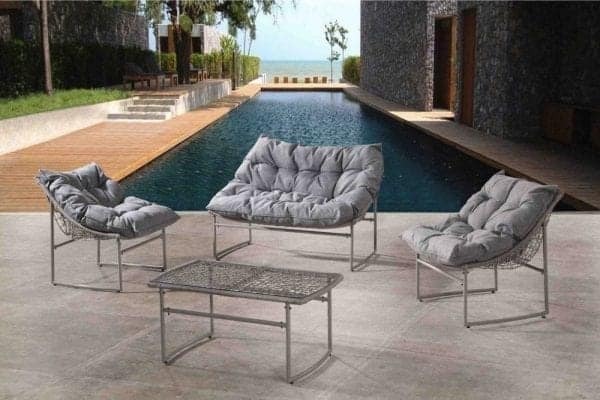 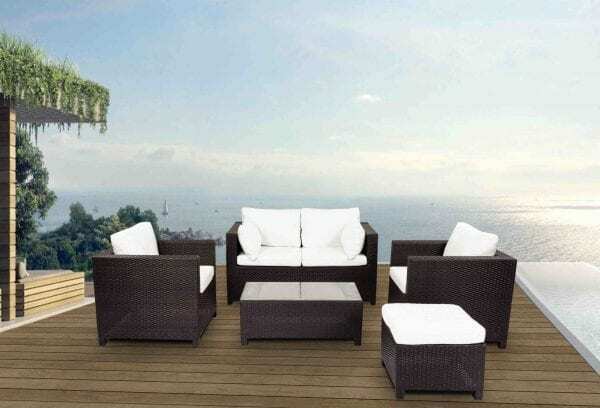 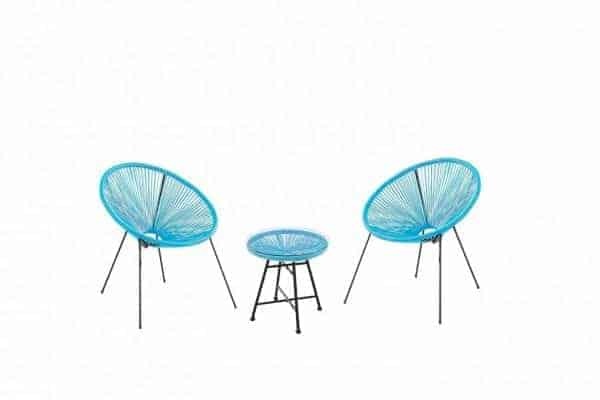 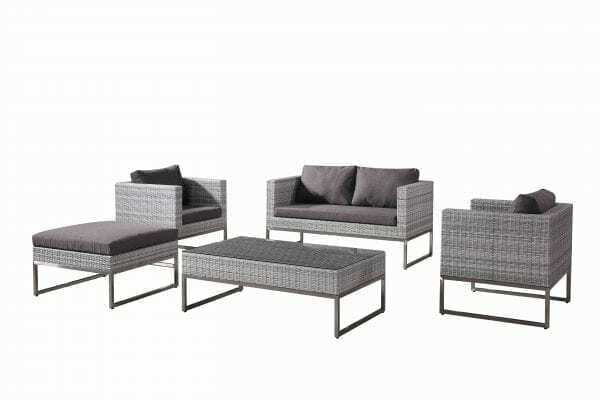 This rattan 4-piece outdoor set offers you a quiet, cozy space outdoors to host conversations, read a book or enjoy morning coffee. 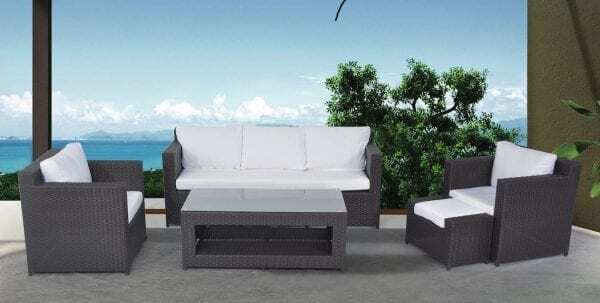 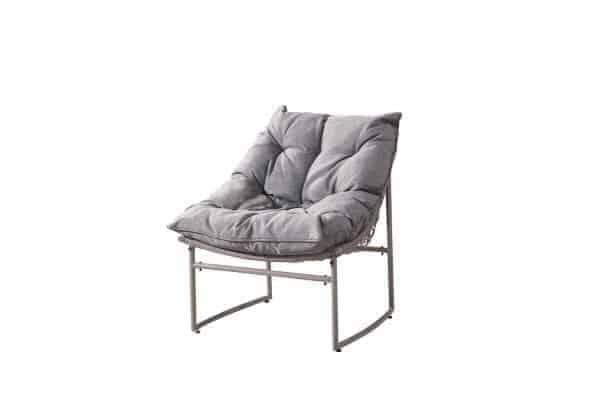 The RONCO features soft inviting cushions and low relaxed seating positions allowing you to kick back in total comfort and relaxation. 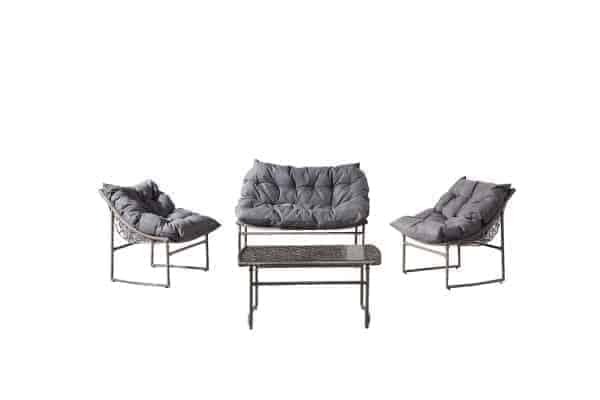 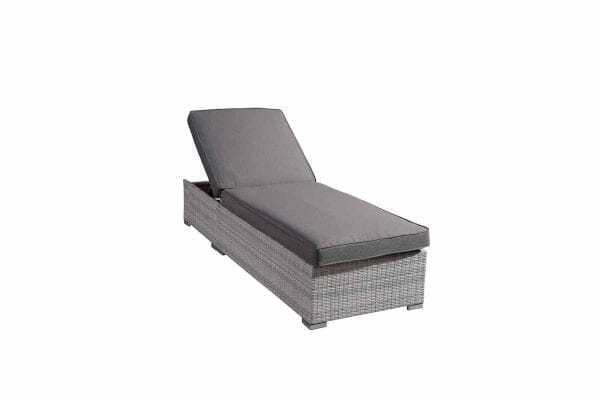 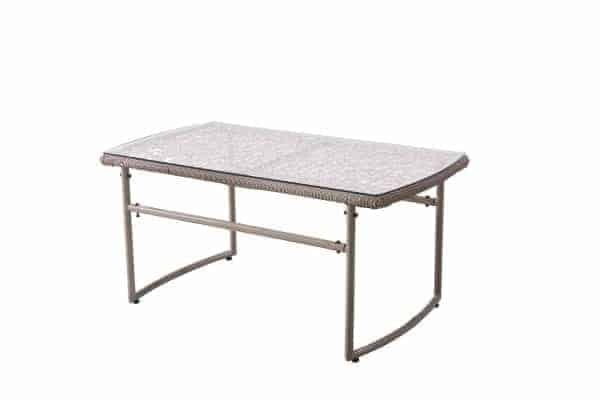 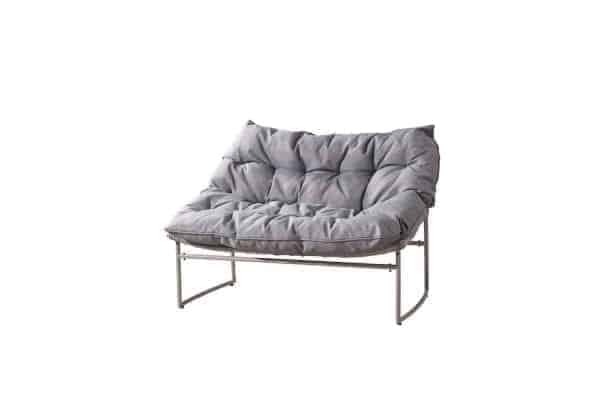 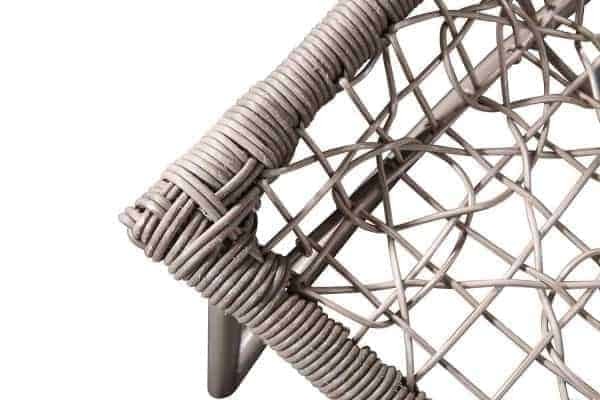 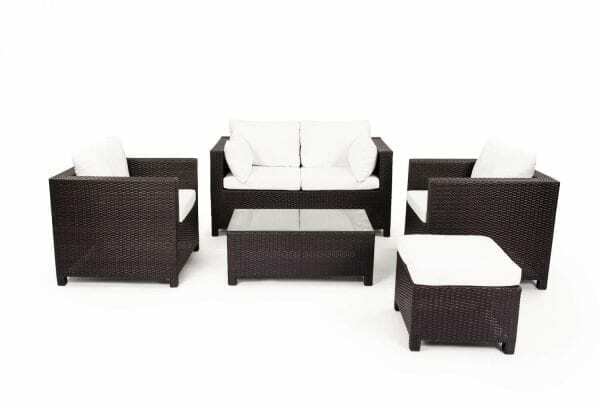 The steel frame and rattan wicker construction make this set perfect for smaller outdoor spaces. 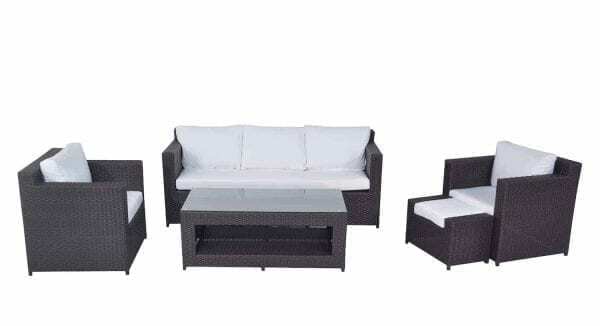 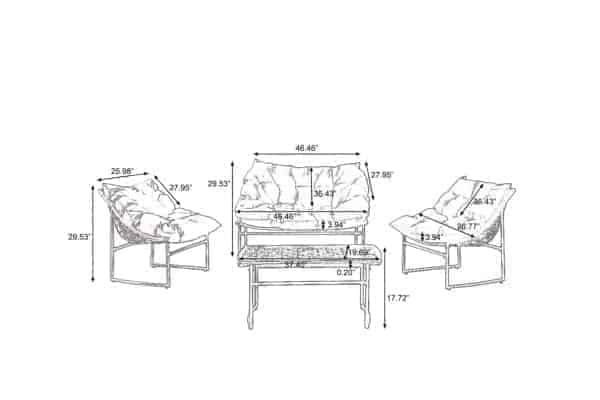 Please note this is a knock down outdoor set and will need to be assembled.